While handhelds such as Butterfly iQ may never replace premium ultrasound systems, they can act as adjunct devices that provide care in situations where it is needed immediately, and reduce the workload of high-end equipment. Around 34 million echocardiograms were performed in the U.S. alone in 2017, with volume estimated to increase by about 6 percent annually, according to Dr. Steven B. Feinstein, professor of medicine in the division of cardiology at Rush University Medical Center in Chicago. But producing an accurate echocardiogram is a challenge compounded by a variety of factors, from the patient’s physical attributes, to the technician’s skill and equipment, to the experience of the interpreting doctor. These variables all affect the ability of clinicians to accurately diagnose and treat their patients. To address this challenge, clinicianslike Dr. Martin Goldman are taking the time to test and validate developing AI and pattern recognition technologies to ensure they are capable of more objectively interpreting and quantifying echocardiograms. AI is one of many assets that providers in cardiac ultrasound are embracing, along with various other methods of enhanced image quality, automated measurements and 3D visualization. But choosing a system goes beyond just the capabilities it has to offer. It requires an understanding of how each type operates and best meets the needs of a facility’s medical environment, workflow, and most importantly, its patients. Premium cardiac ultrasound systems are designed solely for assessing cardiac conditions. 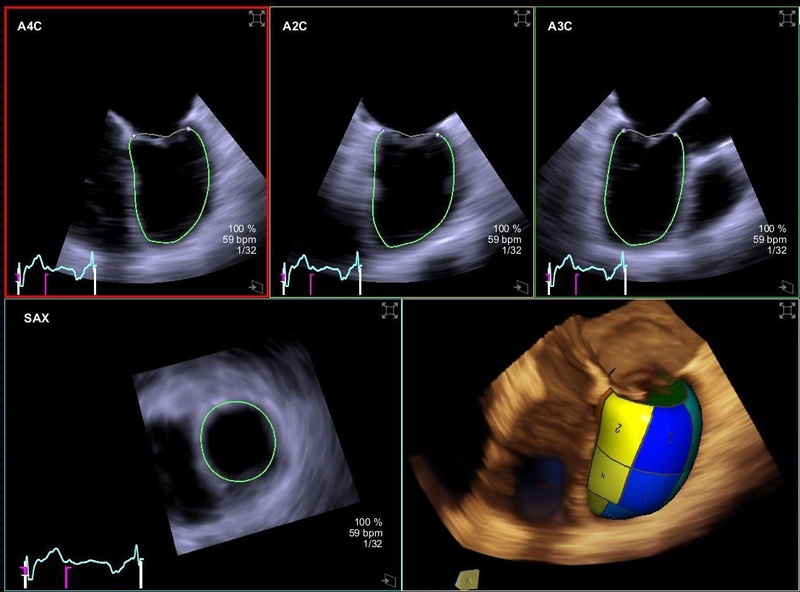 In addition to possessing specially made transducers for echocardiographic exams, these high-end devices (ranging in cost from $100,000-$200,000) offer a range of advanced features, from Color Doppler to dual 2D and 3D visualization to AI-powered automation. Mid- and lower-end systems, ($40,000-$50,000) typically offer traditional ultrasound capabilities such as Mo, 2D and Doppler. Usually a mobile platform with wheels, many are often used in point-of-care settings such as the ICU, emergency room or for surgery. An emerging, and significantly lower-cost family of ultrasound systems is point-of-care handhelds. These highly portable solutions range in size from that of a laptop down to a smartphone. These systems are valuable in a range of settings both in and outside the hospital, from sporting arenas to war-torn battlefields, and can cost a couple of thousand dollars. "Butterfly iQ's handheld system makes ultrasound as accessible as a stethoscope," said Dr. John Martin, chief medical officer for Butterfly Network, as he discussed the company’s single probe, whole-body ultrasound system, which he said is the first of its kind available for under $2,000. "These handheld systems can help lower healthcare costs and save time in diagnosing and treating patients. For example, patients often have to wait for post operative exams ordered by cardiologists thus delaying discharge, sometimes overnight." 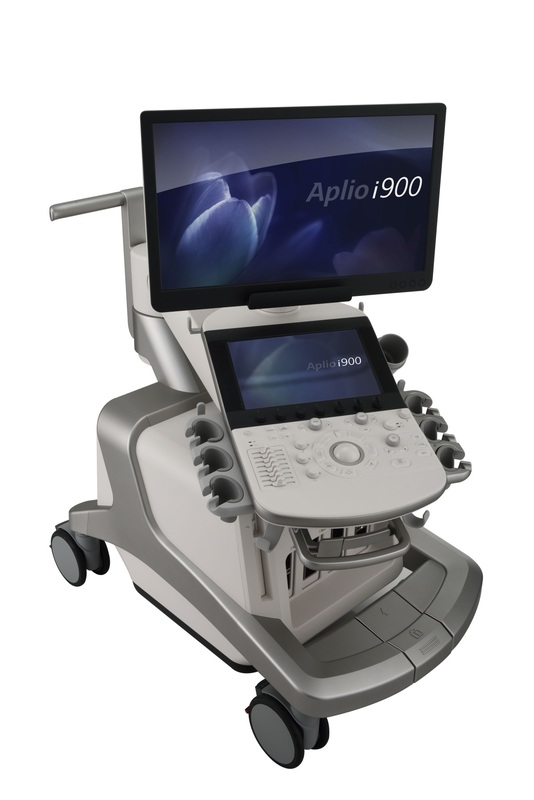 Other handhelds ultrasound manufacturers include Philips, GE Healthcare and Clarius, among others. While growing in popularity, it should be noted that handhelds are not meant to replace more sophisticated ultrasound systems, but act as adjunct devices that provide care in situations where it is needed immediately, and to reduce the workloads of higher-end systems. “Of course, handheld devices do not have the same capabilities as higher-end ones in terms of computer power, image processing, and image quality that are required for a full and comprehensive echo exam,” said Hila Goldman-Aslan, CEO of DiA Imaging Analysis. Her company offers LVivo EF, a cardiac ultrasound solution that measures ejection fraction and is available with the recently-launched GE Healthcare Vscan Extend handheld mobile ultrasound. Knowing what you want is crucial in the ultrasound market. Above all else, experts agree that good image quality should be the top priority when entering the cardiac ultrasound market. In relation to this, many say that protocols and automated measurements for speeding up the rate of capture for images are also essential. Other value-added specs might include high-frame rate for good resolution, high penetration, 3D imaging, the wireless transmission of patient data to systems, and the ability to connect patients to EEG, among others. But figuring out which extra features are needed in a solution depends on the environment and workflow of cardiologists and clinicians. Fortunately, as technology advances, greater capabilities tend to trickle down into lower cost systems. Many envision that clinicians, particularly those using handheld or lower- and mid-range systems, will soon be able to use ultrasound to image the heart without the dedicated training required today. This is where AI comes into play. procedures and understand complex diagnostics. Echoing this sentiment is Al Lojewski, general manager for cardiovascular ultrasound at GE, who stressed that AI is intended to support, not replace, the physician. The need for specialized training around cardiac ultrasound is just one challenge that affects the ability of clinicians to provide quality care to patients. The other is the way in which scans are interpreted, with different observers viewing the same scan and producing different conclusions in what is called interobserver variability. Here, AI is also expected to make a big impact. 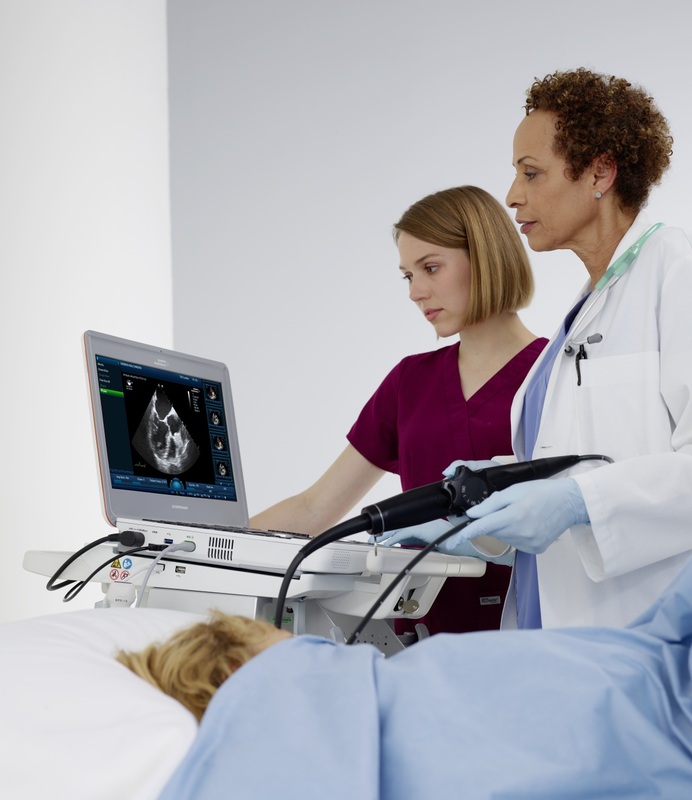 The shift toward quantitative measurements and analysis is already starting to take root, according to Marti McCulloch, cardiology segment director for Siemens Healthineers Ultrasound, with patients being treated based on the quantitative analysis now in reports. From automated measurements to dual 2D and 3D visualization, cardiac ultrasound continues to give rise to new techniques and capabilities. Among these is the introduction of intracardiac 3D, imaging inside of the heart. She adds that the aim in further developing this technology falls in line with the shift from fee- to value-based care, with clinicians searching for ways to diagnose and treat conditions as quickly and efficiently as possible. Another promising frontier is the development of dual modalities, such as merging fluoroscopy with ultrasound in the cath lab. The role of ultrasound in surgery is also expected to grow, particularly with the use of 3D visualization. One procedure that could be enhanced through these techniques, according to McElroy, will be mitral valve replacement.